A theme unlike any other WordPress theme. Content scrolls horizontally and flows like a book. 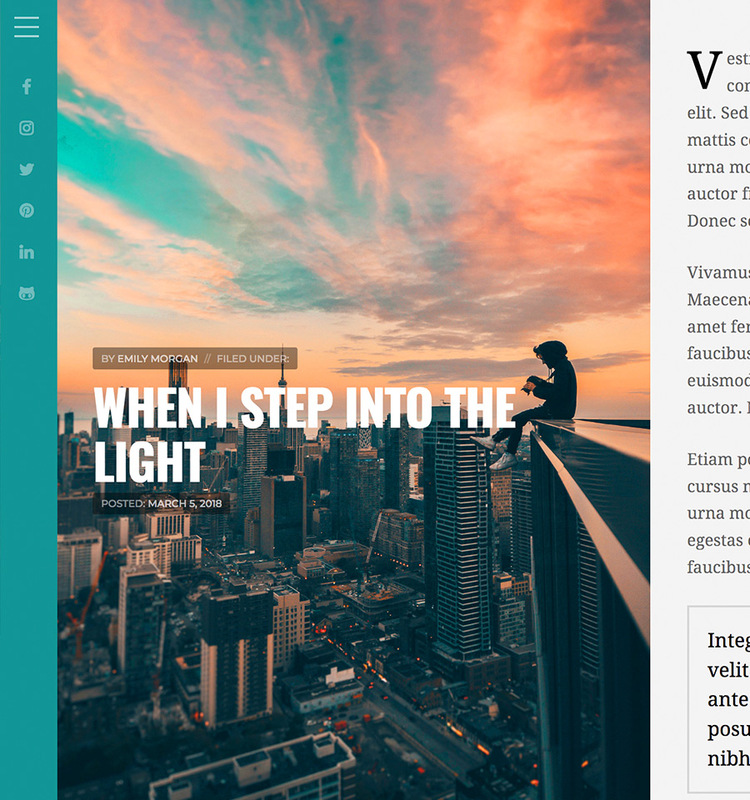 The Horizon Theme is unlike any other WordPress theme — we guarantee it. It’s designed to scroll horizontally rather than vertically. As a result, visitors will interact with your website in a new and memorable way. It’s difficult to strike a balance of originality and usability. If a design is too different, it becomes confusing to navigate. If the design is too familiar — it’s boring. With the Horizon Theme, we achieved a unique design while still maintaining an intuitive user experience. The theme reads like a book, and it’s sure to leave a lasting impression on your visitors. Horizon displays horizontally scrolling content using responsive CSS columns. So your content flows seamlessly from one column to the next. Blog posts are displayed as vertical cards that scroll horizontally as well. Additionally, they animate and highlight when hovered. The theme also contains page templates and custom post types for displaying portfolio projects and testimonial posts with unique styles. Horizon is a fully responsive theme, and switches to a more traditional, vertical layout on mobile devices. All options for the theme are located within the WordPress customizer for a simple setup experience. Additionally, the theme is compatible with popular plugins including Gravity Forms, WooCommerce and our Organic Builder Widgets. 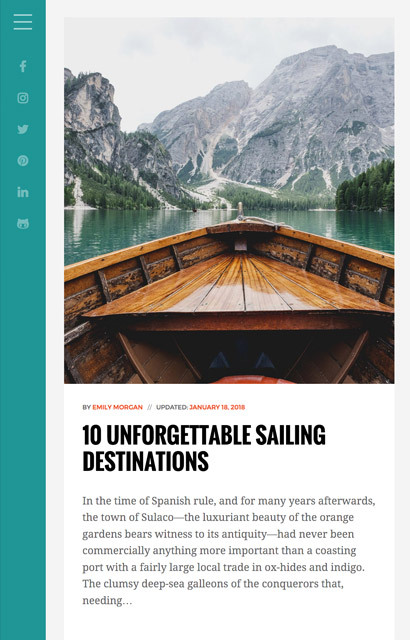 If you have been looking for a unique and original design for your blog, look to the Horizon Theme! The horizontal blog with hovered post. The portfolio page template with posts applied. Start building your website with the Horizon Theme!